Discover Festive-ness in Inverness! Your guide to getting festive in Inverness. Escape to Inverness with a Black Friday Sale Escape at the Inverness Palace Hotel & Spa, from only £34.95 per person & you too will enjoy these fab festive activities and events! 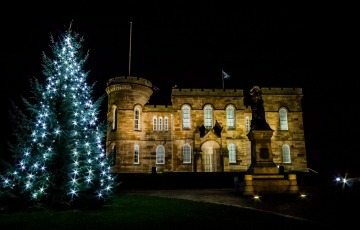 “Tis the season to be Jolly“, sparkling lights, laughter, celebrating with friends & family, discover festive-ness in Inverness this festive season. Don’t miss some of these fantastic festive events, make new memories in 2018! Inverness Christmas Lights Switch On, lighting up your November! The Inverness Christmas Lights Switch On this Sunday 18th November. A torchlight parade leaving from Crown Primary School at 5.45pm to the Old High Church in Inverness. Enjoy a hot drink and entertainment as everyone gathers in the grounds of Crown Primary School to wait for Santa to arrive. Then enjoy the city’s Christmas Carol Concert “Ding Dong Merrily Old High”. A truly memorable night in the Highlands Capital. Santa Claus is coming to the Winter Wonderland Inverness at Whin Park. Be prepared to be transported into your Winter Wonderland as the park is transformed. The play area and boating park are transformed complete with magical rides for you to enjoy. See the fantastic illuminations as Santa and his Reindeer arrive for a wee break before the big night!! Just wrap up warmly and come and see this winter wonderland spectacular! Admission is free, notices required, no dogs allowed. The event beginsFriday 14th December 6-9pm, Saturday 15th 4-7pm and Sunday 16th December 4-7pm. 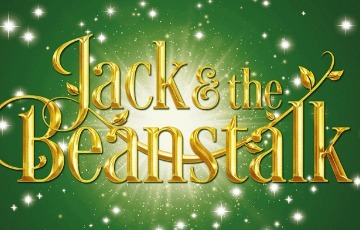 The Panto – All I want for Christmas is Jack and The Beanstalk, Eden Court from 4th Dec – 6th January. Enter the world of the Pantoshpere! This fab panto features a dastardly villain, a hapless comic and a hilarious panto dame, as well as magnificent sets and costumes. Plus fabulous songs and dances, bags of slapstick fun and the most spectacular giant in panto-land! Book your tickets now as Jack & the Beanstalk is a pantomime not to be missed! Remember to book your pre panto festive high tea at the Inverness Palace Hotel & Spa. Deck the Halls with Exclusively Highlands Christmas Food & Craft on Friday 16th, to Sunday 18th November & 7th to 9th December. Your chance to find the perfect Christmas gift or handcrafted souvenir . An amazing event, with over 80 exhibitors, throughout the Bishops Palace and upstairs Bar Area of Eden Court. Something for everyone Exquisite Arts, Lovely Crafts and Glorious Foods all under one roof. Don’t forget there is free adjacent parking. Stocking Fillers, Inverness has lots of fabulous shops for you to enjoy and track down the perfect presents! Inverness is ideal for the great present hunt, the streets are compact and it’s easy to get around. You’ll find all your usual High street favourites. Plus a new Joules store is about to open in the Eastgate shopping center and Hotel Chocolat will be adding a fab new store to the city. From top fashion to electronics there are 60 plus stores and more than 10 places to grab a bite in the Eastgate Centre! 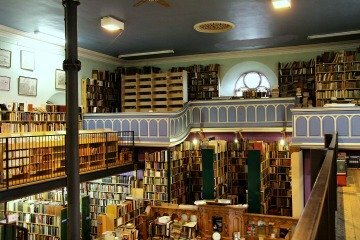 Inverness has so much more than the usual High Street names explore the Victorian Market, enjoy its charms and architecture as well as some unique shops! Perhaps you are shopping for a bookworm and are looking for that rare edition or unusual text then visit Leakey’s second hand bookshop. This wondrous shop is in a converted church, it’s is one of a kind! Experience the delights of a festive afternoon tea at the Inverness Palace Hotel & Spa, we have 2 yummy choices! Fabulous Festivi-Tea Party, is not just any old afternoon tea party, this is a fantastic festive girly tea party with a twist! So sit back, relax and let the Palace Hotel make it happen for you! Your festive tea party dressed with lovely classic cake stands offering all sorts of delicious and delicate festive nibbles. Your dainty finger sandwiches and a fabulous selection of festive cakes! But it doesn’t stop there…your vintage tea pots will offer some extra delights filled with all new Christmas themed Cocktails. 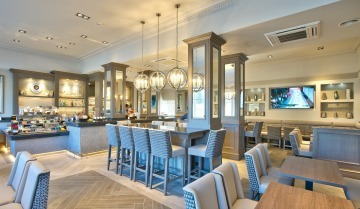 You can also book your own Tea Party room and bring your own play list too! There really is no better excuse for a bit of festive sparkle and bling than your intoxicating tea party! 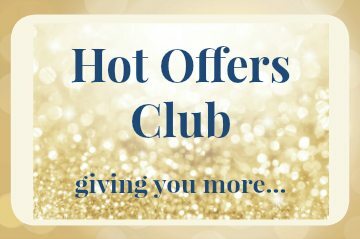 Just call Samantha on 01463 22 77 80 or email, only £28.95 per person in November & December 2018. 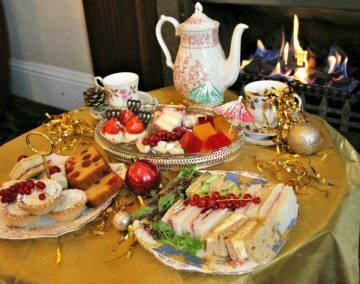 Alternatively you can enjoy a traditional festive afternoon tea, this afternoon delight is served daily from 2-4pm. You will enjoy a yummy selection of sandwiches, cream mince pies, cakes and lovely sweet bites! Wash all these tasty treats down with freshly brewed pot of tea or coffee. This delightful afternoon tea is only £16.95 per person. You can add a little sparkle with a mini bottle of Prosecco only £8.00 extra or a glass of mulled wine just £3.00 extra. Our friendly tea are available to make your tea unique to you, just give us a call on 01463 22 32 43. 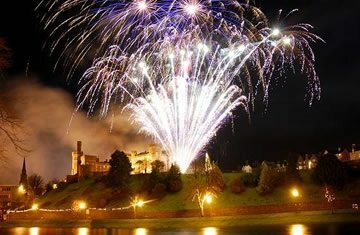 For Auld Langs Syne, don’t forget to make your plans for New Year aka Hogmanay, in the Capital of the Highlands Inverness!! Join Scotland’s only & largest FREE New Years Eve party “The Red Hot Highland Fling”. Over 10,000 party goers! Hosted by Comedian Craig Hill, bands include Tidelines, Blazin Fiddles and the Trad Project will headline this year’s Hogmanay street party in the Highland capital. The bands will perform at the city’s Northern Meeting Park Arena from 2000 to 0030. It’s a family friendly event do not bring alcohol to the event. Have yourselves a very merry festive season and escape to Inverness for a lot of festive- ness! Book your festive escape, check out our hot offers! Don’t miss the Black Friday Sale Escape available to book from Friday 16th to Monday 26th November. Only £34.95 per person per night for 2 sharing a Classic room including buffet breakfast & free access to the luxury leisure club! Enjoy a pre festive treat & book an appointment in the Spa. Just pick up the phone and call us Tel: 01463 22 32 43, email us at Palace or nook online!! !